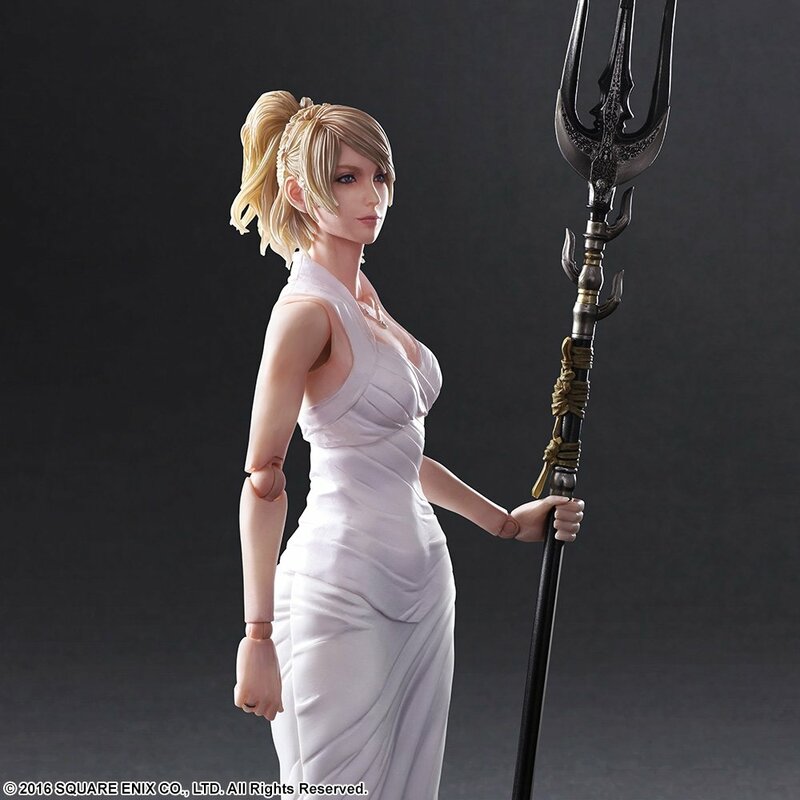 Lunafreya Nox Fleuret is the heroine of FINAL FANTASY XV and the fiancé of Noctis, the game’s protagonist. 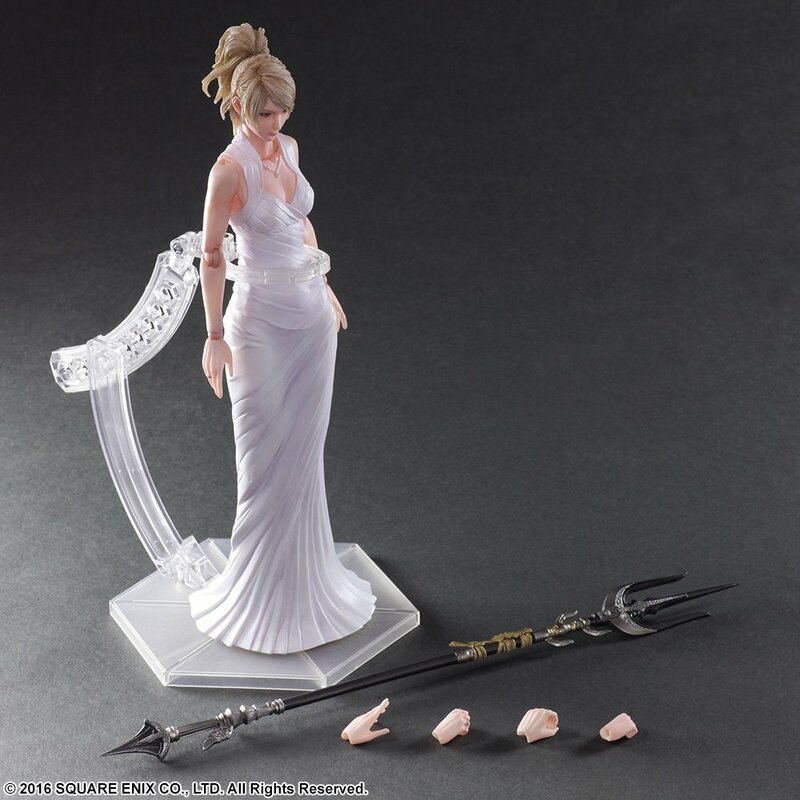 Her dignity and grace, as the present head of the royal family of Tenebrae, and her stately nature, as the Oracle in communion with the gods, are incorporated into her noble expression. 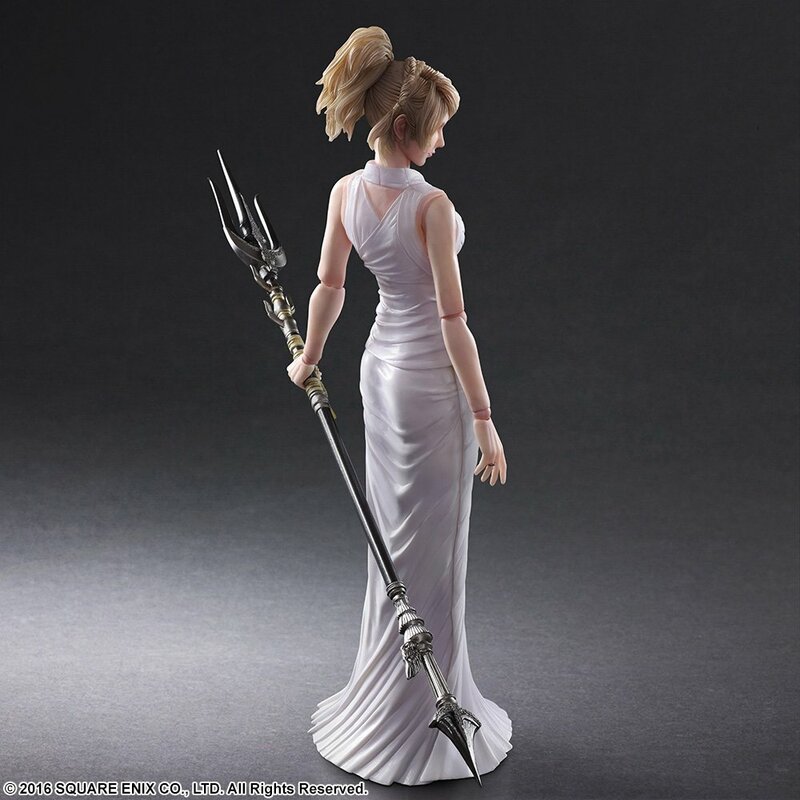 The shape of her mermaid line dress further accentuates her beauty, and particular attention has been paid to the paintwork and details: from her intricate hairstyle to the Trident of the Oracle. 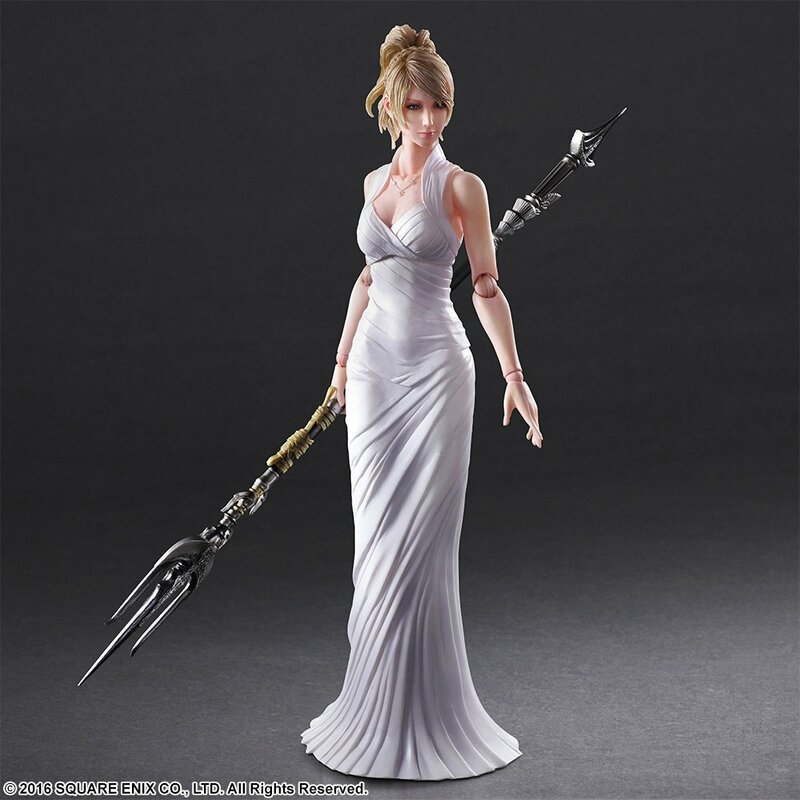 Her shoulders implement a new type of articulation joint that enables smoother, more natural movements. 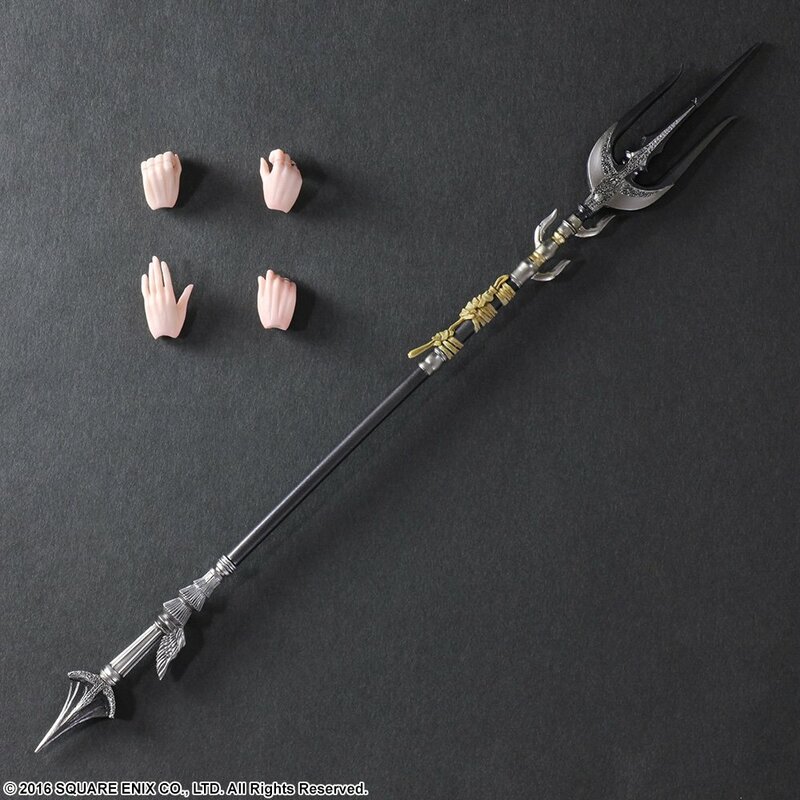 The figure comes with an abundant variety of interchangeable parts including expressions, wrists, and hands to hold her trident. 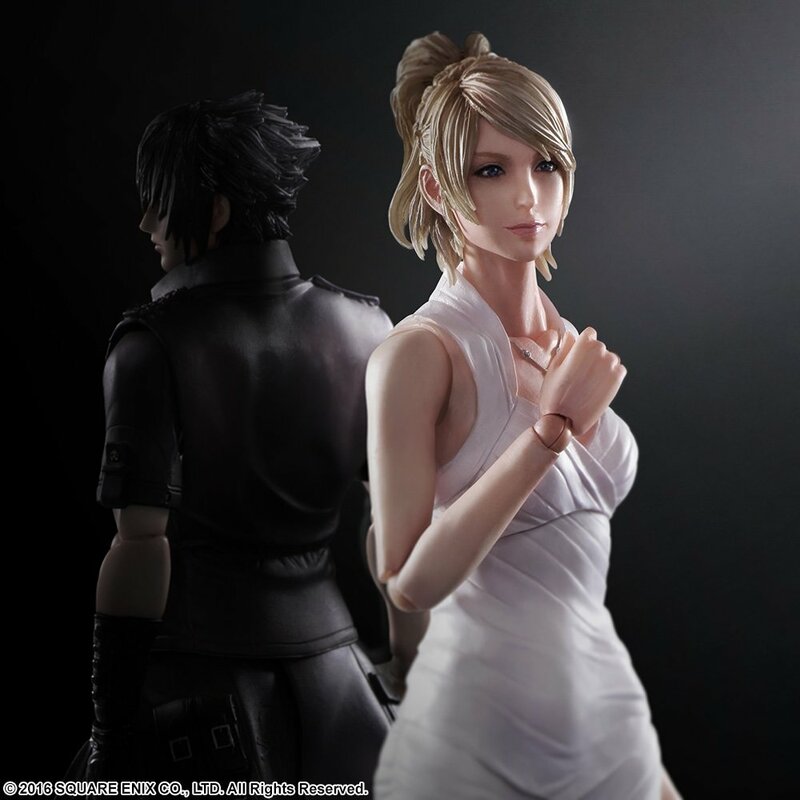 The figure’s specifications provide a wide range of poseability, allowing an array of in-game moments to be recreated.